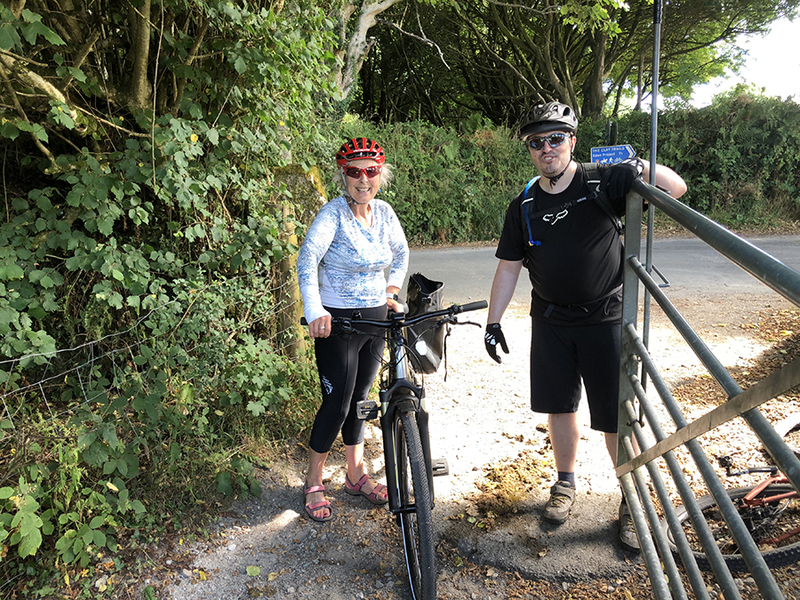 I have always been a keen cyclist but must admit to having fallen by the wayside in recent years, favouring walking as I got older and found Cornwall’s hilly terrain rather challenging post two hip replacements! It was my hip surgeon who suggested I try an electric bike as cycling or swimming were much kinder exercise for the joints……. So enter my new electric bike and the return of the joy of cycling. I must admit to being very excited when I gave my bike a test ride at Clive Mitchell cycles – a few brief instructions and they shooed me out of the door to experiment and explore some local lanes. Enter a whole new world. I pedalled away with some trepidation but it was so easy, just like riding a normal bike but when the hill gets steep enough to make you want to get off, hey presto, flick the power button and the magic happens. It reminds me of learning to ride a bike as a child. When a slope arrived, my Dad would gently push me as I pedalled on but didn’t have to struggle and that’s exactly what an electric bike does. It will not engage unless you are pedalling, it is not a moped and I certainly return home hot, sweaty and out of breath, so still working hard but going further faster. 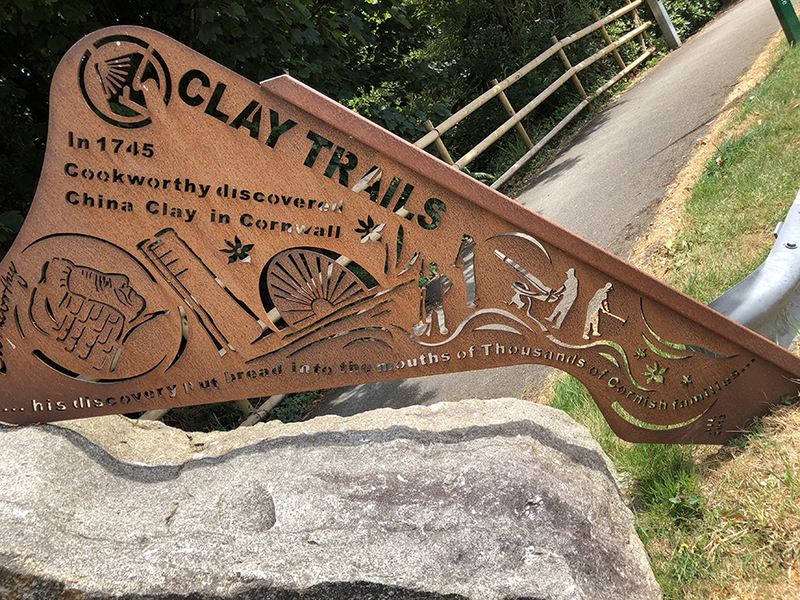 I decided to have a potter around the local Clay Trails www.claytrails.co.uk They are mostly off road trails around the China Clay District of St Austell, winding their way around a historic landscape, created largely from the spoil from mining kaolin from the mid 1800’s. 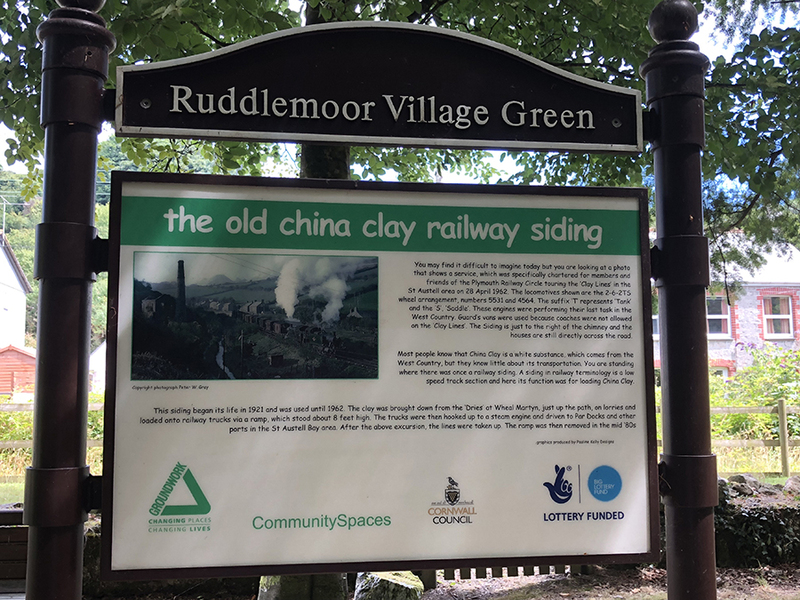 You will pass by pits with bright turquoise water from the mica particles and see the remains of Clay dries and towering chimneys from a bygone age plus sculptures which celebrate its history. The routes vary from 3-5 miles in length and are safe, traffic free, well signposted and designed to encourage wild flowers and wildlife. 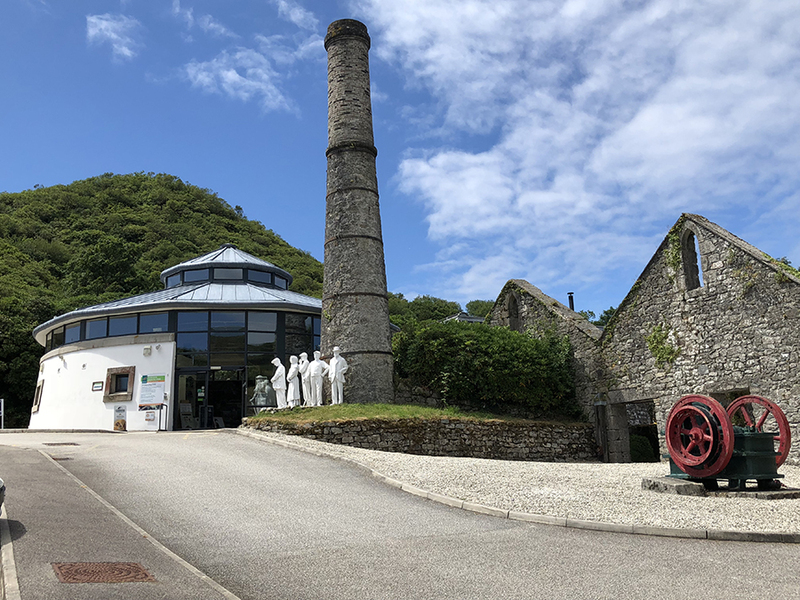 I started from Charlestown but I think for a family day out I would begin at the Wheal Martyn China Clay Museum as it has plenty of car parking and the route is obvious from the car park. The various trails interconnect so you can just branch off in any direction that takes your fancy. 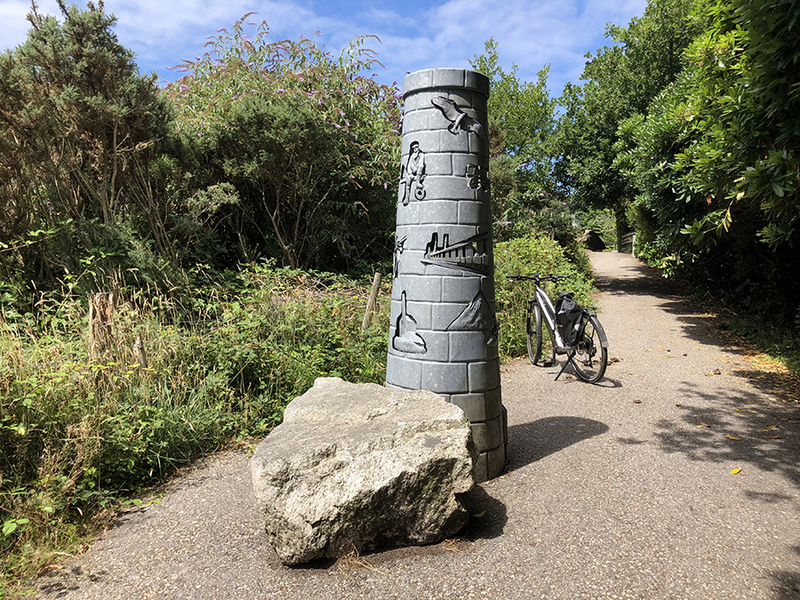 I headed off to Tregrehan and then to the Eden Project, Trethurgy, Carclaze, Wheal Martyn, St Austell and back via the Pentewan Trail. There are few facilities on the trails themselves, you will find clearings with picnic tables and chairs if you come prepared but most routes pass by a cafes and pubs en route where you can get refreshments. Maps are downloadable from the website. 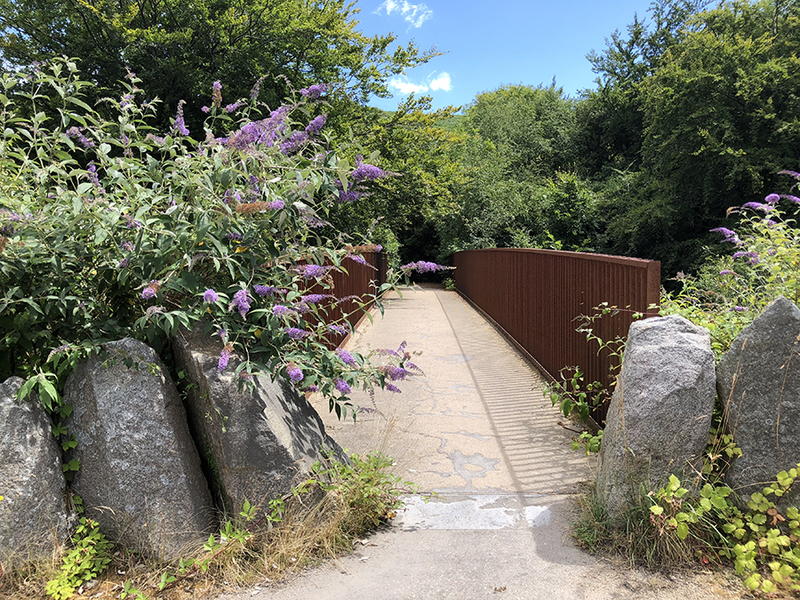 The trails are mostly gravel and well maintained, designed for walkers, cyclists and horse riders, some are suitable for buggies and wheelchairs, such as the Pentewan Valley trail from St Austell down to the sea. Another one starts from the beach at Par and finishes at the Eden Project. I still have more trails to discover but found exploring a new area right on my doorstep quite exciting and now achievable for a grandmother about to enter her 7th decade – thanks to my new electric bike!